Running for Spinal Cord Research. Elite ultra runner Dylan Bowman, who placed second in the 2011 Leadville Trail 100 miler and first in the 2011 San Diego 100 miler, will join runners from through out the world in the 4th annual Wings for Life World Run. This running event benefits spinal cord research. In this unique road race, runners from around the globe will simultaneously run on May 7, 2017 (11 am UTC). The finish line is a moving “Catcher Car.” Bowman, a Red Bull athlete, will run this race for the first time. In training, I think about just normal everyday circumstances whether it’s things you need to accomplish later in the day or personal challenges that you’re dealing with trying to find solutions to. In racing, it’s very much focused on the competition so it’s a matter of where my closest competitors are — how far ahead, how far behind they are. How soon should I eat or drink? At what interval should I have my next gel or my next drink of water? How far to the next aid station? Always doing calculations. My diet is simple — mostly vegetarian, lots of healthy grains and greens. Occasionally, some fish or chicken every two weeks. I try not to put a lot of thought into my diet per se. I try to keep it very clean and healthy and avoid processed food. I eat dinner at least 12 hours before a race. Since I’ll be starting the [Wings for Life] race at 4 a.m., I’ll eat a healthy dinner at 4 pm. I’ll be in bed or at least laying down at 8 or 9 p.m. I don’t have any problems with nervousness or anxiety the night before a race. I have no problems with blisters. I attribute that to wearing a good pair of socks. I recommend a pair of socks that feel comfortable and won’t rub inside your shoe. I wear a size 12 shoe but wear a size down for socks. I rarely put on a lubricant. I recommend a shoe that fits you well. Experiment with lots of different brands and different shoes that have ample amount of cushioning and enough room in the forefoot. It’s a unique format for a race. There’s no finish line. You’re trying to prolong the race as long as you can. I’ve never raced in that type of format or environment so I think it will be a fun deviation from what I usually do both in terms of the format of the race and in terms of the terrain because I specialize in trail and mountain racing. Wings is obviously a road race. Being chased by a car is unique and certainly adds a fun kind of complication to what I’m used to so I’m excited about it. 1. Sleep as much as you can. Sleep well the two or three nights before the race. 2. On race day, hydrate. Have a Red Bull about 15–20 minutes before the race. 3. Drink about a half-liter of water per hour depending on how long you’ll be on the course. If you think you’re going to be out there for 2 hours, try to get your water in. Then you’ll need nutrition. 4. Ingest simple carbohydrates every 20–30 minutes. For me, I eat gel or Shot Blocks or Cliff Bars that are easily digestible and that have quick carbohydrates because that’s what your body is going to be burning. 5. Make sure you’re hydrated going into it and supplement as needed through out the race. I find most people probably don’t drink or eat enough during races, so focusing on eating a little bit more than you think you need to is usually helpful. 1. Try to mimic the race as best as you can. Check the course online. See if there’s a route locally that you can do that sort of mimics the terrain that you’re going to be encountering during the race. Also, get out a few times at the time of day that the race is going to be starting. Simulate the time of day that the Wings for Life will be happening. Get your body accustomed to the time you’ll be running. 2. To stay motivated, give yourself some sort of reward to look forward to. Delayed gratification is something that is really healthy whether it’s letting yourself go on a little vacation, taking time off from exercising altogether, or indulging in ice cream or beer, or something you’ve been avoiding while training. 1. Have a good time. 2. When it gets hard, try to smile. 3. Recognize that what you’re doing is for a good cause. 4. It’s making you healthier at the same time. 5. Keep in mind how satisfying and rewarding it feels to accomplish a goal. This is really challenging right now but when you get through it — and you will get through it — it will be enormously satisfying for you to look back on. You’ll be very accomplished. 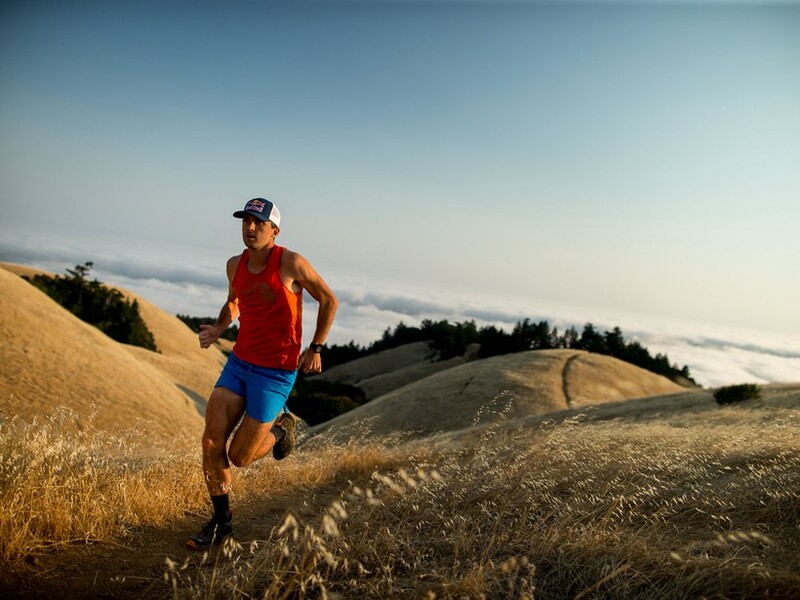 Before being chased by a car in the Wings for Life World Run on May 7, Dylan Bowman will tackle the Istria 100 miler in Croatia on April 7–9. Bowman, who logs an average of 100–105 weekly training miles, will train for Wings for Life on the flatter sections of the demanding mountainous and technical terrain of the Istria 100. To register for the run, click here. Originally published at www.huffingtonpost.com on April 1, 2017.